For part 2 of Jacob's Birthday, celebrated with his baseball team, I made doughnuts. Lots and lots of doughnuts. I made Vanilla Cream-Filled Doughnuts (a recipe from Flour) and Glazed Doughnuts as well as Chocolate Doughnuts (both based off the same recipes mentioned on this post). I've learned that Homemade Yeast-Risen Doughnuts taste best when FRESH (like within an hour or two of frying), so I tried to coordinate my schedule so these Doughnuts would be finished right before pick-up. 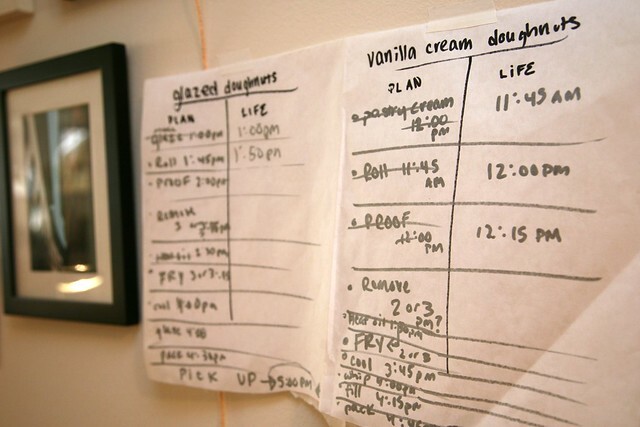 This schedule may not make sense to you, but somehow it kept me on point. 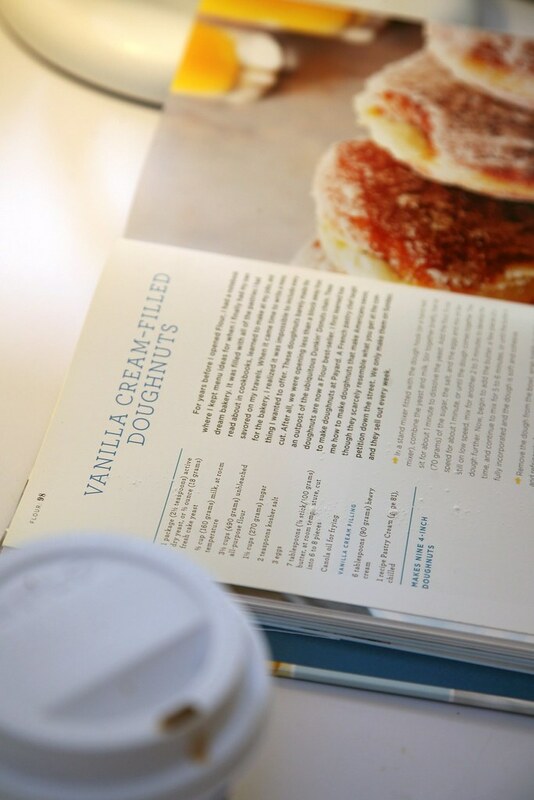 You can find the recipe for these Vanilla Cream-Filled doughnuts on Martha's site right here, where there is also a video of Joanne Chang making them with Martha. 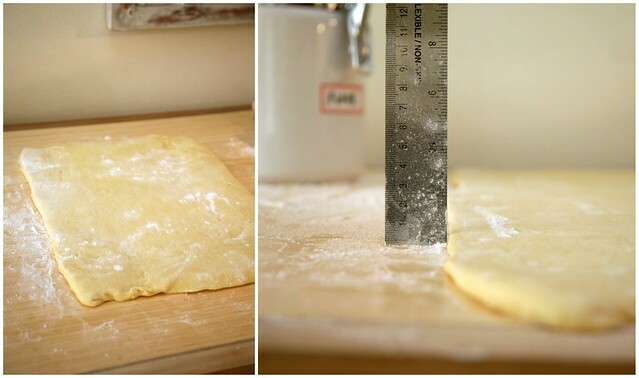 A quick check of dough thickness before the doughnuts proofed. I may have done them slightly less than the recommended 1/2 inch thickness to get a few more doughnuts out of it. 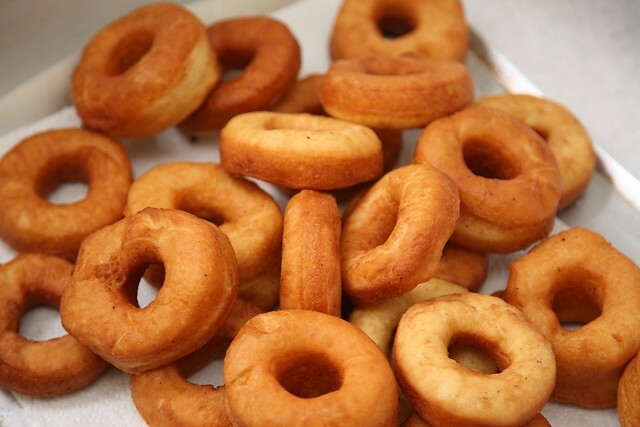 The other doughnuts (as seen below, not yet glazed) were made into the classic doughnut ring shape since they would not have any filling. 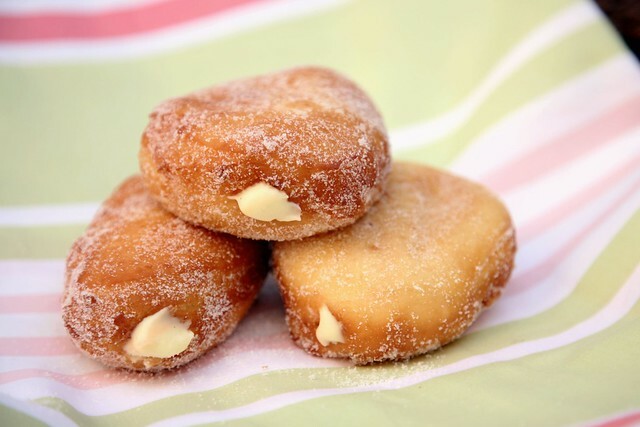 Here are the Vanilla Cream-Filled Doughnuts, filled and rolled in sugar. And the chocolate glazed doughnuts. 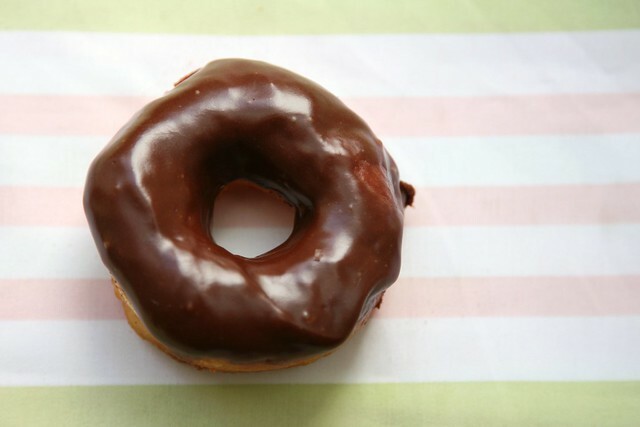 Mmm, shiny chocolate glaze. No photos of the simple glazed ones but you could imagine what it'd be like, right?